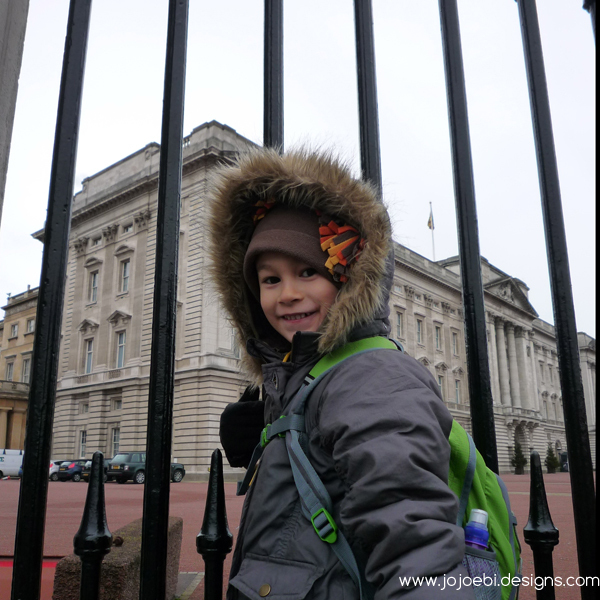 Our second day in London was also a busy one and we managed to pack a lot in again. 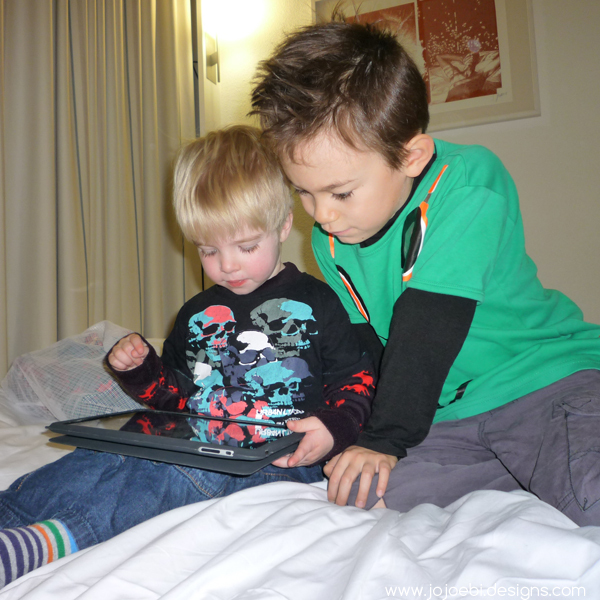 The boys were really good together, we weren't sure how they would get on since there is a 4 year age gap. 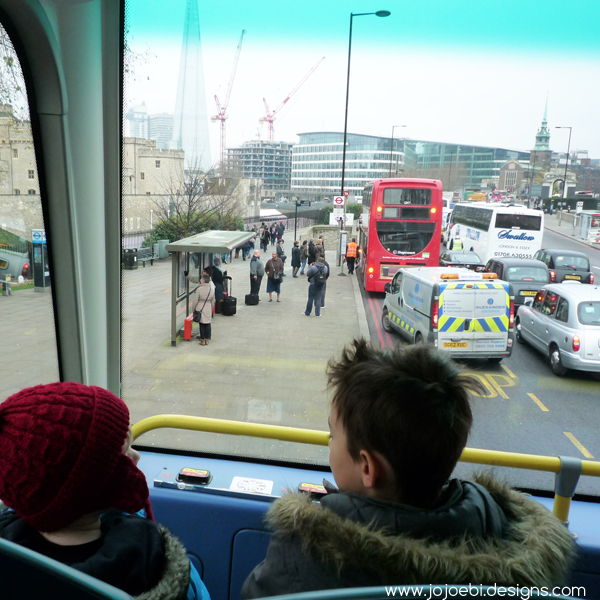 We took a bus tour, the driver was a complete loonie but we also managed to get a front seat and the boys were happy just to watch everything that was going on. 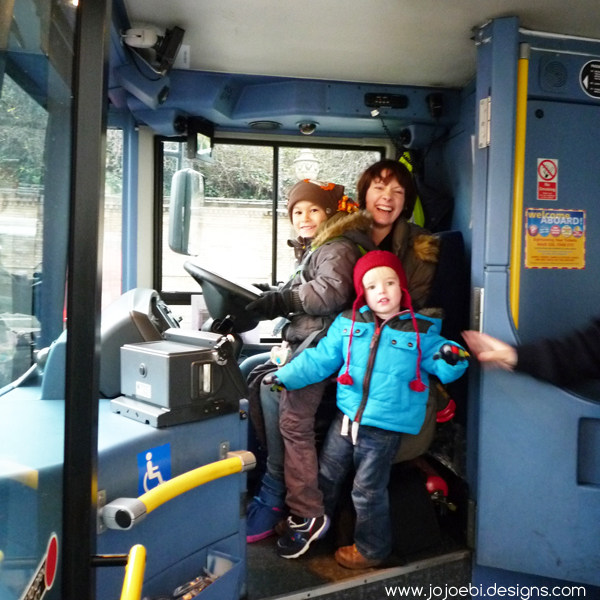 When we went to get off the driver insisted Di and the boys sit in the drivers seat, I'm not sure this is actually allowed! As I said, he was mad! 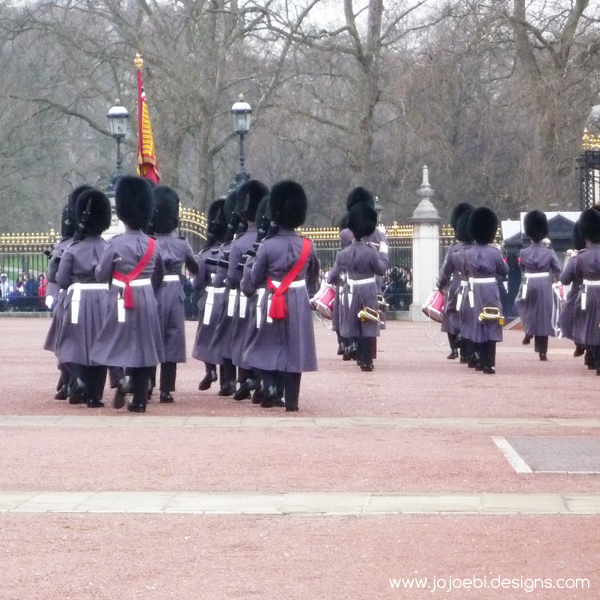 We hopped off at Buckingham palace just in time for the change of the guard. Ebi-kun decided it wasn't that exciting, he said they were all just faffing around! We didn't stay for the whole thing because it was also cold, so we walked down towards the river and found a pub to have lunch in. We made it to Big Ben just as it struck noon, so we got to hear the 12 bongs as it were. 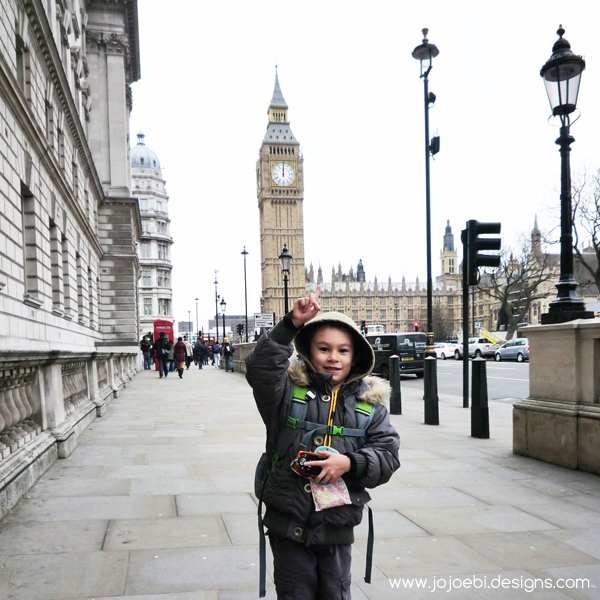 Ebi-kun was quite excited to see Big Ben and the houses of parliament. 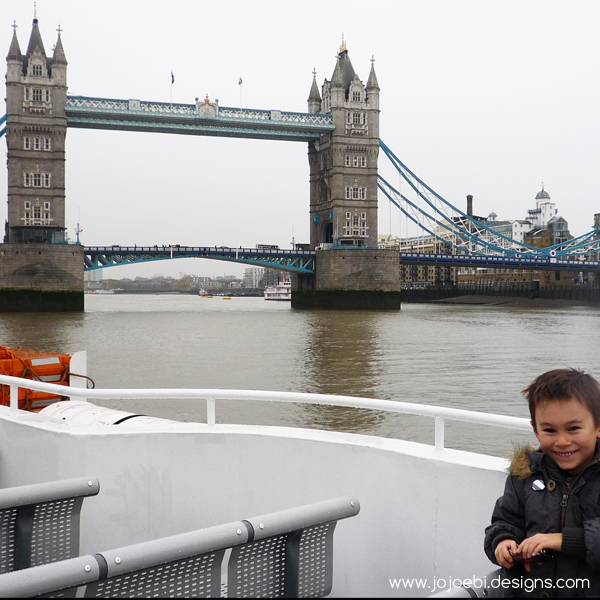 Of course by the time we came out of the pub it has started to rain, our bus ticket included a free boat ride, so we used that to get from Westminster to Tower Hill. The commentary on the boat was really funny, I'm doubtful that any non native English speakers would have understood him. Our final destination for the day was The Tower Of London, this is one of the places Ebi-kun had actually asked to go to and apart from the steep ticket price it was excellent. Unfortunately Ry had had enough by the time we got here and needed a nap, Di ended up taking him to the cafe whilst me, Ebi-kun and Broggy did the White Tower. Ebi-kun was very impressed with all the armour and bought himself a nice mug as a souvenir. We had left out luggage at the hotel so we hopped on the tour bus to pick it up then Di and I went our separate ways, we went back with Broggy to stay a couple of nights at here place. 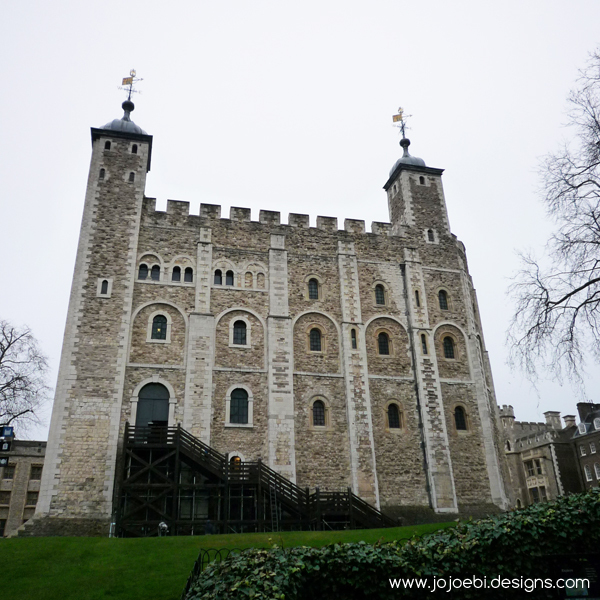 Love the Tower of London! Isn't King Henry VIII's armor hysterical? Yes! As you can imagine Ebi-kun LOVED it in there, all that armour and weapons. If we were to do it again, we would have go there an hour or so earlier so that we could have fit in the other bits too.